For visitors to our website, here are three exclusive preview clips from Tallington! Episode 1 will be available to download from January 5th 2014! These three clips have been specially chosen by our editing staff (translation, these were the only ones they could think of when they came back half cut from the Christmas do). We hope you enjoy them as much as they enjoyed the party. I mean, making them. Tallington Preview – All visitors to the facility are required to undergo briefings on how to identify a communist. Tallington Preview – Personnel using time portals may experience confusion about which time they are in. 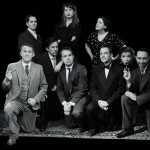 Tallington Preview – Time travellers may feel out of their depth when encountering unfamiliar situations. 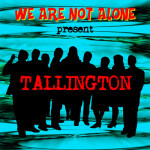 Tallington by We Are Not Alone is licensed under a Creative Commons Attribution-NonCommercial-NoDerivatives 4.0 International License.